Miyamoto was born and raised in the Kyoto Prefecture; the natural surroundings of Kyoto inspired much of Miyamoto's later work. He is mainly known for his work at the video game production company Nintendo, where he created some of the most successful video game franchises of all time, including Mario, Donkey Kong, The Legend of Zelda, Star Fox, F-Zero and Pikmin. He currently manages the Nintendo Entertainment Analysis and Development branch, which handles many of Nintendo's top-selling titles. 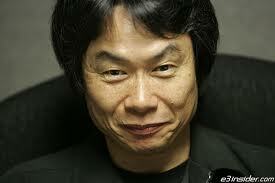 Miyamoto's games have been seen on every Nintendo video game console, with his earliest work appearing on arcade machines. His games have received critical praise from many reviewers, and he has been the recipient of various awards.